On Tuesday, the Senate voted to confirm Betsy DeVos as Secretary of Education. The tie-breaking vote went to Vice President Mike Pence in a novel move—this is the first time a vice president has been called to break a stalemate in a confirmation vote in the history of the United States. Only two Republicans, Sen. Susan Collins of Maine and Sen. Lisa Murkowski of Alaska, chose to vote against DeVos. DeVos met the most formal resistance from the Democrats, after her embarrassing bear-related school gun justification caught the attention of the public. In an attempt to derail DeVos’ confirmation, Senate Dems held the floor for 24 hours, an effort that sadly came to naught. DeVos has never been to public school, nor has she ever worked in public education. 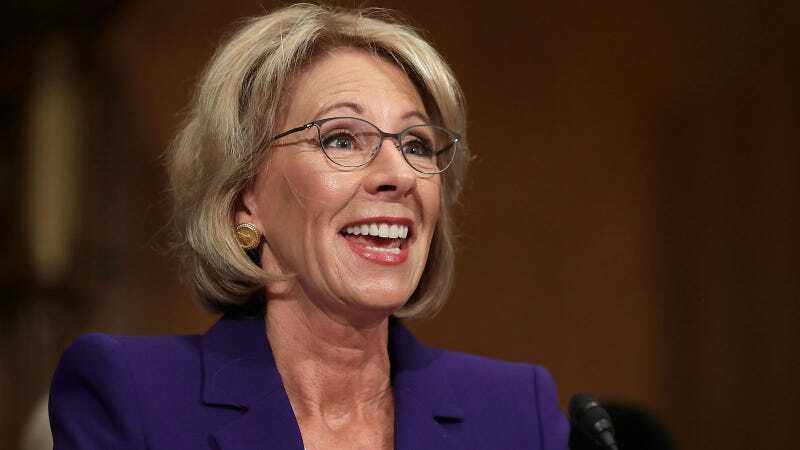 She is a billionaire GOP donor who wants to divert public school money to vouchers for private schools, vouchers that inadequately cover the cost of private schools that are able to provide quality education.